Save 15% on all Garageio products today only! 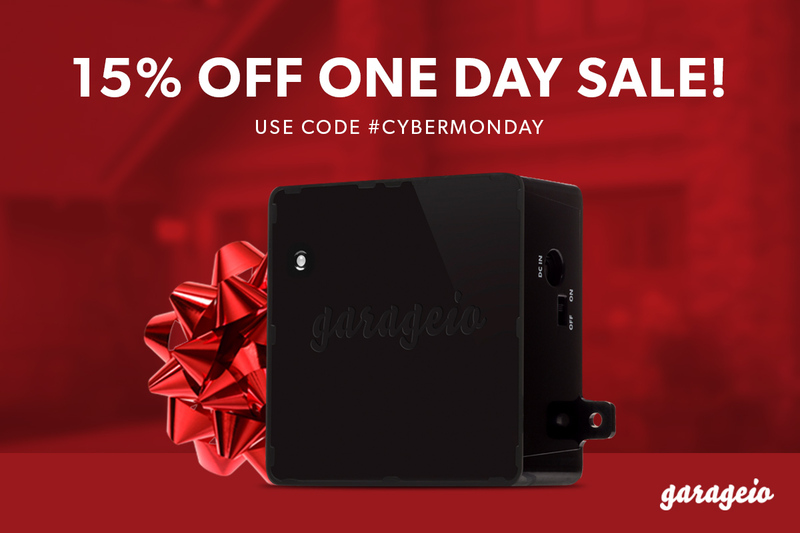 Enter discount code: #CYBERMONDAY at shop.garageio.com now until Monday 11:59pm for this exclusive sale! Garageio is the perfect companion for your brand new Amazon Echo or Amazon Fire TV Stick. Make your home and garage smarter than your neighbors’ with Garageio. 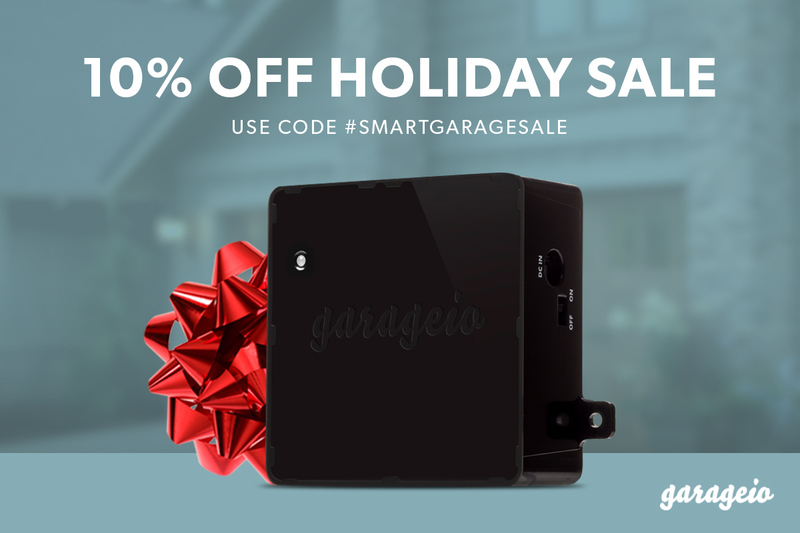 Garageio 10% Off Holiday Sale! Starting on Thanksgiving Day, we will be offering all Garageio Products for 10% off! Watch out for the discount code here on our blog, twitter or facebook page! What better gift to give a friend or family member than the peace of mind that only Garageio can bring. Garageio means no more getting stuck outside when your garage door remote gets lost or stops working. Garageio means no more jumping out of your car and freezing your fingers trying to enter a code on an old keypad. Garageio means peace of mind always having control of your garage. Anytime. Anywhere.